Brother Joe has an annoying habit of flying off to some remote country when family holidays approach. I think it’s just his excuse so he isn’t volunteered to bring the olives. Seriously, Joe is a Registered Nurse volunteering to fly where medical attention is needed. He managed to do this last Christmas, too, although miraculously arrived home at the last minute from Guam. 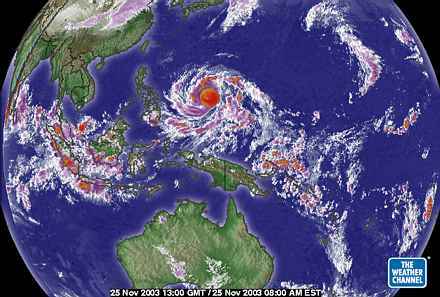 This year, Micronesia was just hit with a Category 5 hurricane, and off he goes. Godspeed and good luck, brother. Take care of yourself.